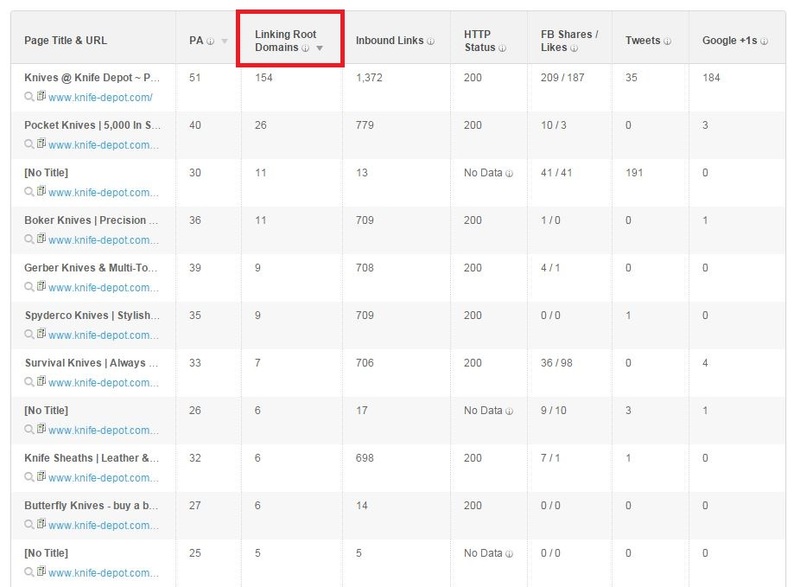 Hello and welcome to another Tutorial Tuesday, where we break down a digital marketing tool, strategy, or process to help you improve your link acquisition. 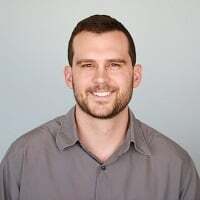 This week I’ll be breaking down what should be a relatively simple process, but often proves complicated: determining linkable assets for an existing website. 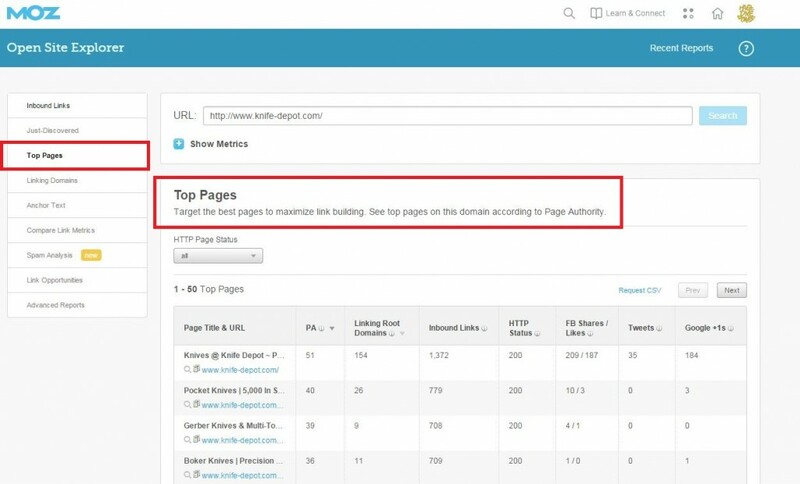 Whether you’ve just secured a new client, are analyzing a competitor’s website, or simply want to see which pages are driving traffic to a website, determining linkable assets will help you understand which pages on a website have compelling value. The secret of linkable assets is value. When you determine a website’s linkable assets, you've effectively analyzed which pages are valuable, and have a chance—with a little old fashioned elbow grease via outreach—to secure good links that make sense. Links are a brand mention, citation, and direct navigation all rolled into one. SEOs often think links are valuable because of Google, but the truth is links are valuable online, period. Building quality links will increase audience exposure, build brand presence, drive referral traffic, and boost your search rankings. But quality links have to be relevant, editorial, useful, and natural. There’s no way to fake a quality link – you have to earn it by adding value to the web. If you want someone to link to you, you need a compelling reason for them to link. A linkable asset is that compelling reason. The goal in any pre-campaign analysis/research should be strategic planning. If you can understand the shape of the market, the pain points of the customer, the influencers, which companies are leading, and how they’re winning attention, then you’re halfway to a successful campaign yourself. Let’s assume you've already done your homework, because we know that short cuts lead to short-lived results. We want to build something that will stand the test of time, not a foundation of sand. We want to build links that improve the web, build brand, and delight potential customers, while growing your search visibility. Your website should unequivocally add value to the web for your industry, customers, and potential audience. All that’s left is to determine which pages on your site are compelling, add value, and will help attract attention to your brand, business, and USP. No matter how good you are at analyzing websites, industries, and niches, you’ll never understand as much about the business as your client. They know the backstory. They know the players. They know the audience, and they know the process. They have information bouncing around in their head that you absolutely need to know. Asking the client questions should be baked into your onboarding process. Digging into linkable assets is absolutely part of that. How is that value expressed on your site? 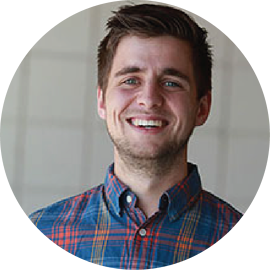 How do you address customer pain points on your site? Are you creating industry-specific content? What are important keywords for your industry? Which pages are relevant to those keywords? Are you engaged in offline marketing? How does that tie back into your online presence? Which pages are the most important on your website? Which pages are designed to help customers? Which pages would you consider particularly link-worthy? Have you worked to build links to the site in the past? Which pages? How? Are you willing to build new pages in order to promote for links? You should spend time researching the site before you ask the client any questions. Once you have your own understanding, it’s time to challenge that with the client’s insight. Challenge your assumptions. Ask direct questions. Then ask some more. You don’t need to be an expert in your client’s industry, business, or product. You just need to know the important parts, and how to represent it accurately. Asking these questions should lead you to an understanding about what creates a link-worthy page in their industry, which will allow you to better identify linkable assets on their site. Linkable is much the same as shareable. The difference is nearly everyone online today has some sort of social profile through which they can share content they like. Considerably fewer have websites they actively manage which they might link from. For this reason, social shares are often inflated compared to link count. Oftentimes a link-worthy page will have more social activity compared to link activity, particularly if the page hasn’t been properly promoted. Of course, share levels should be gauged across sites and niches – share levels fluctuate naturally across industries, so what might be a high share count in one industry could be average to middling in another. Let’s take a look at searching by domain in BuzzSumo, using pocket knives as our industry. 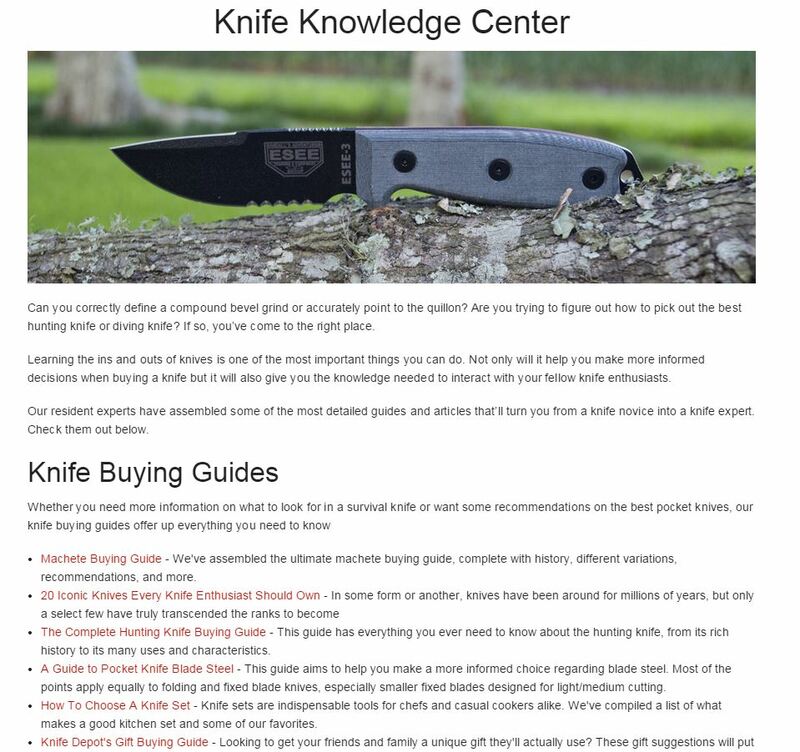 Let’s use a classic example of an e-commerce site, specifically Knife Depot, which is a clean site with hundreds of knives, great filters, credibility, a well-run blog, and solid layout. Let’s plug their domain into BuzzSumo to see what, if any, content is being socially shared. Keep in mind we’re dealing primarily with an ecommerce knife site. Not exactly the golden land of social content. You’ll see total social shares on the right. Badass Knife of the Week: KA-BAR Utility Knife. While the social shares aren’t overwhelming, there’s clearly an audience here commonly sharing the content. For traditional outreach based link building we’ll look for more utilitarian style content. We want valuable content that serves a purpose online, which is apt to have others link to it. In just a few moments I can find a plethora of pages which would help build valuable resource links and aid outreach. Now it’s time to pop over to the pages already being linked. 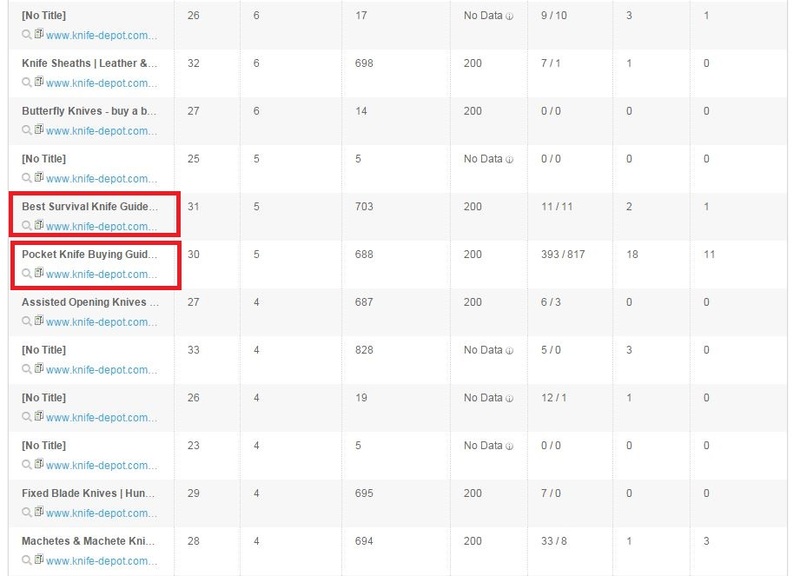 However, as it’s a rather new feature it’s not as robust as other backlink explorers currently on the market. It’s worth peeking at, but if you have access to any of the more established backlink explorers—Open Site Explorer, Ahrefs, Majestic, cognitiveSEO, etc.—you should switch over. We’ve talked to the client. We’ve perused which content is being socially shared. Now it’s time to truly get to the SEO portion and look at the backlinks. Here we’re looking to see which pages are already earning links to see if there’s further opportunity. Now it’s time to dig through the results. Immediately noticeable is that their homepage is the top linked page, followed closely by their category pages which include brands, knife types, etc. This is fairly typical for an e-commerce site. Part of the reason Knife Depot is great isn’t because of individual resources, but the site as a whole. When someone likes an entire site rather than a singular page, they will typically link to the homepage or relevant category page. This is important to note as a link builder. It means there is potential to build links straight to the homepage—the site itself is a valuable resource. However, we’re in the pursuit of linkable assets. So let’s dig a bit deeper and see what we can turn up. Trimming down to the learn subfolder we find the Knife Knowledge Center – a link builder’s paradise. There are buying guides, how-to articles, explanations of different knife types, knife brand guides, and general knife information articles. Seriously, this is a gold mine of authoritative, industry-specific information their audience will value and appreciate. At this point we should be able to hit the ground running, ready to build good links that make sense. Finding link-worthy pages on a website is step one to creating a strategic, actionable plan to build links. The secret to building good links that make sense is having pages others will value. 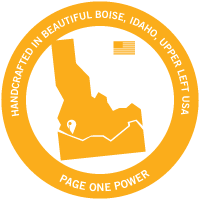 These pages are our linkable assets. Talk to the client – no one will know the brand, business, and site better than the person running it. Run the domain through BuzzSumo – social shares are much easier to accrue than links, and are a great indication of what pages a site’s audience values. 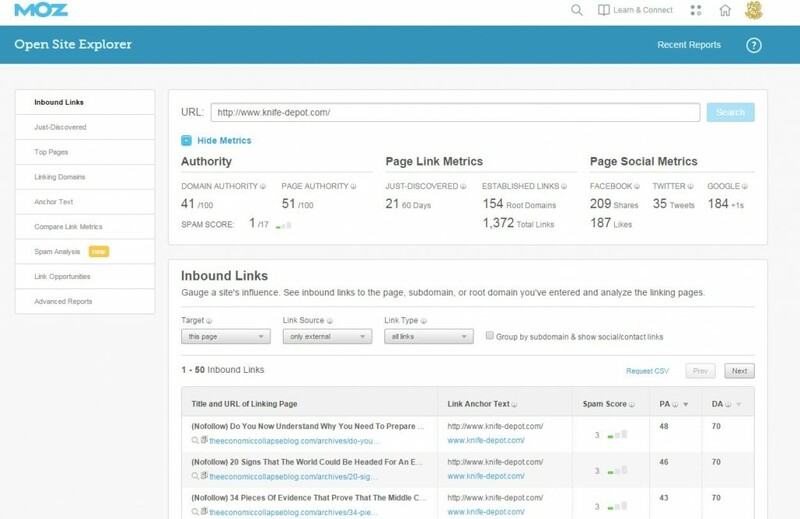 Explore top linked pages with a backlink explorer – for every link “earned” there are five more you deserve, which can be built with manual outreach. Find the pages already being linked to and determine whether there is further opportunity. Even with a large, sprawling e-commerce website it’s easy to quickly identify stand out pages which add value to the web.